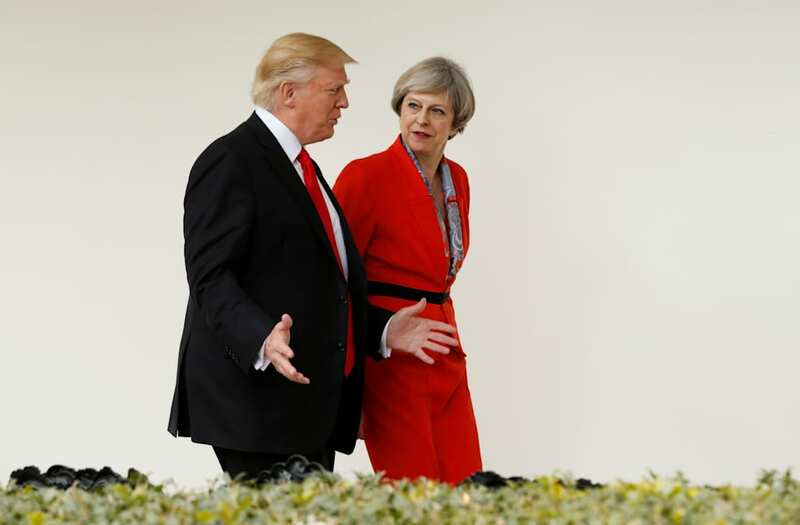 The US has made a "formal apology" to Britain over accusations a UK spy agency worked with former President Barack Obama to wiretap Trump Tower, according to The Telegraph. White House press secretary Sean Spicer claimed in a briefing on Thursday that Obama partnered with the UK's Government Communications Headquarters (GCHQ) for an operation spying on Trump Tower during the presidential campaign. "The apology came direct from them," an intelligence source told the British newspaper. McMaster reportedly apologized directly to Prime Minister Theresa May's security chief Sir Mark Lyall Grant, according to The Sun. During a White House press briefing on Thursday, Spicer cited comments from Fox News commentator Andrew Napolitano that Spicer said confirmed GCHQ took part in a spy operation at Trump Tower during the 2016 US election. "[Obama] didn't use the NSA, he didn't use the CIA, he didn't use the FBI, and he didn't use the Department of Justice. He used GCHQ, what is that? It's the initials for the British Intelligence Spying Agency," Spicer said. A spokesperson for the GCHQ quickly issued a statement debunking the Fox News report Spicer was referencing. "Recent allegations made by media commentator judge Andrew Napolitano about GCHQ being asked to conduct 'wiretapping' against the then president-elect are nonsense," the statement read. "They are utterly ridiculous and should be ignored."